My fabric stash is pretty big, but fairly well organized. 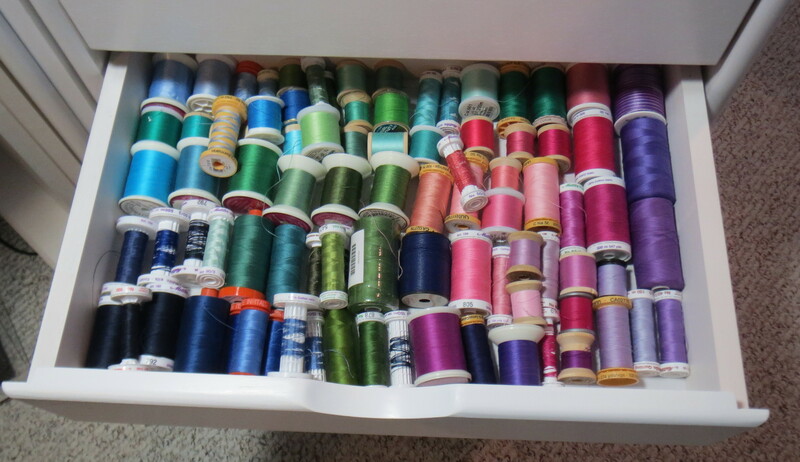 My thread stash has been out of control for some time — various threads tucked away in drawers and boxes. 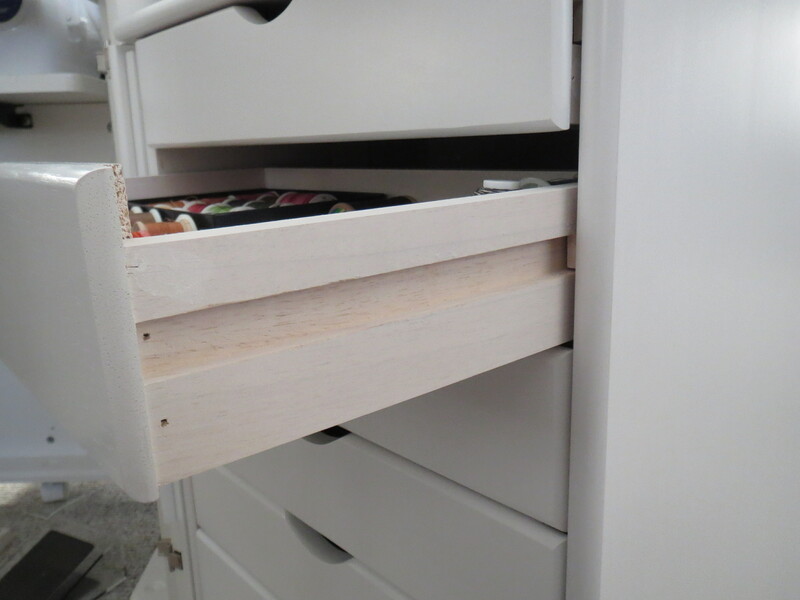 My old sewing machine cabinet had only one drawer and a large empty space where I was able to slip in a couple of those plastic drawer stacks, and I used that for some of my threads. Here is a photo of the stacks inside my old cabinet. Recently I purchased a new Brother Dreamweaver sewing machine and a new Koala cabinet to put it in. My old thread storage system wasn’t going to work. I also wanted more capacity so I could get all the thread consolidated in one place. Piles of thead begging to be organized! 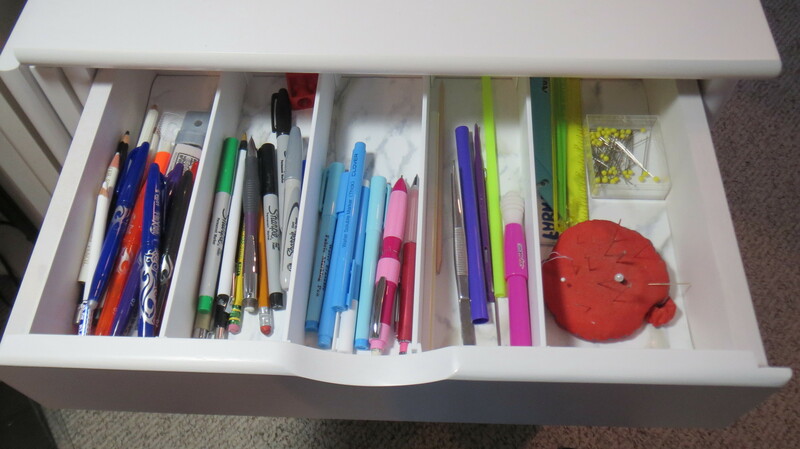 You can accomplish the same drawer divisions using foam core board – there are YouTube videos explaining how to do that, as well as how to use these fancier ones. The videos are useful for deciding which way you want to go; I watched them before deciding to purchase the ones I am using. 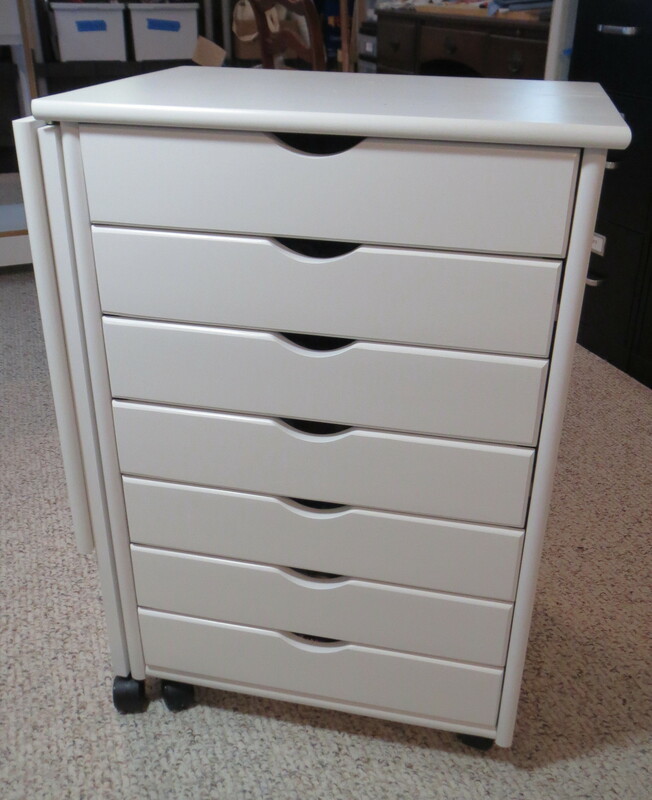 This storage cart was a good value compared to the drawer stacks available to match sewing room furniture — less than half the price as well as giving me the size and number of drawers I wanted — but it is still not cheap. The cost was about $280 . I purchased it through Amazon so the shipping was free; here is the link to Amazon where it is available: Stanton Single Gate Leg Storage Cart, 30″Hx21″Wx14″D, WHITE . It is also available through homedecorators.com, but was cheaper at Amazon the day I made my purchase. 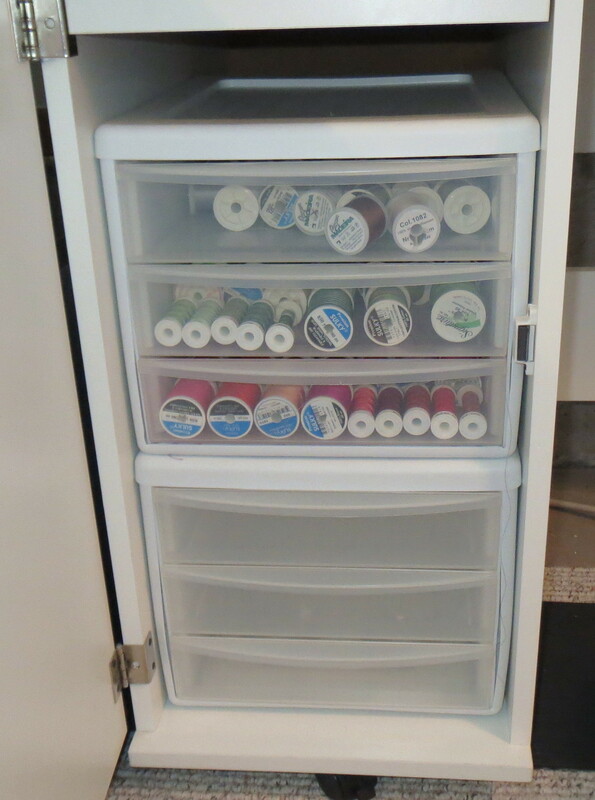 One of my goals is to settle on one brand of cotton thread on one spool size so my storage is easier and occupies less space. My goal will be to have every color of that one kind of thread and no others. More about that subject in another post in the future! This entry was posted in Quilting and tagged sewing room furniture, thread storage on September 28, 2014 by Shirley at Mystery Bay Quilt Design.